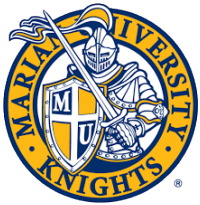 Full Blown Productions has been providing video services for Marian University's commencement program since 2009. The event is a 3-camera live switch with a separate free-roaming camera cut into the video afterwards. This technique allows us to ensure the best coverage.